What is the Tinker Tour? 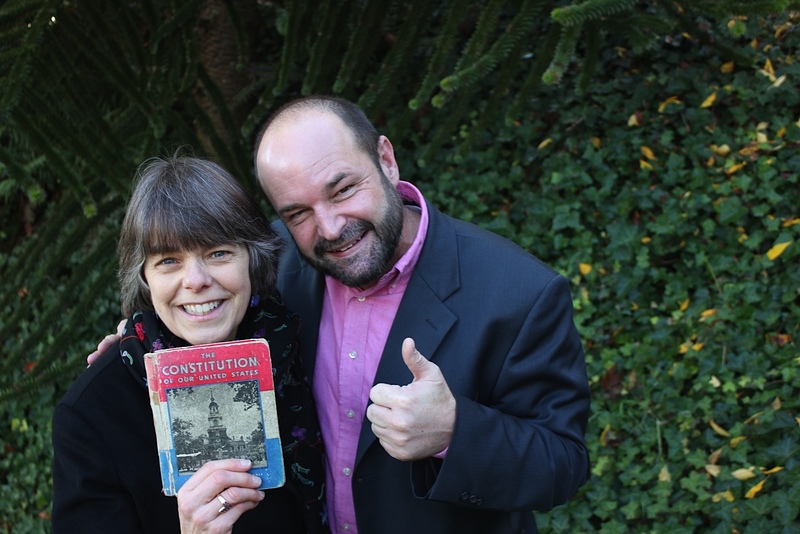 A bus tour that began during the 2013-14 school year, with free free speech champion and former Supreme Court plaintiff Mary Beth Tinker and student speech attorney Mike Hiestand traveling to high schools, colleges and conventions across the country to speak about the Tinker case and the state of free speech and civics awareness among America’s young people. Since then, Mike Hiestand has jumped off the Tinker Tour bus, and is busy using his free speech rights in Washington state. But Mary Beth continues to travel and speak with students, teachers and community groups throughout the country. In 1965, Mary Beth used a simple black armband to voice her opposition to the Vietnam War. Now, Mary Beth inspires new generations to use the First Amendment to make a difference. And, she learn all the many ways that students are making their voices heard to do just that! The tour kicked off on Constitution Day (Sept. 17, 2013 on Independence Mall in Philadelphia and from there has gone on to visit hundreds of schools, universities and conferences across the country. Mary Beth was among a small group of students from Des Moines, Iowa, who, in December 1965, wore black armbands to school to mourn those lost on both sides of the Vietnam War and to show support for Robert F. Kennedy’s call for a “Christmas truce.” School officials promptly suspended her. 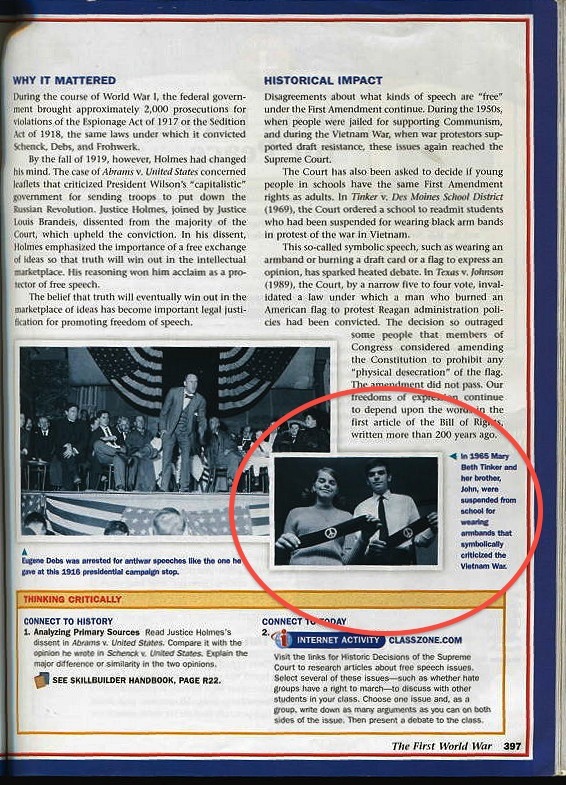 A First Amendment battle ensued and her case wound its way to the U.S. Supreme Court, which in 1969 issued a landmark decision upholding the students’ right to wear their armbands and, for the first time, made clear that all students have First Amendment rights, even when they are in school. 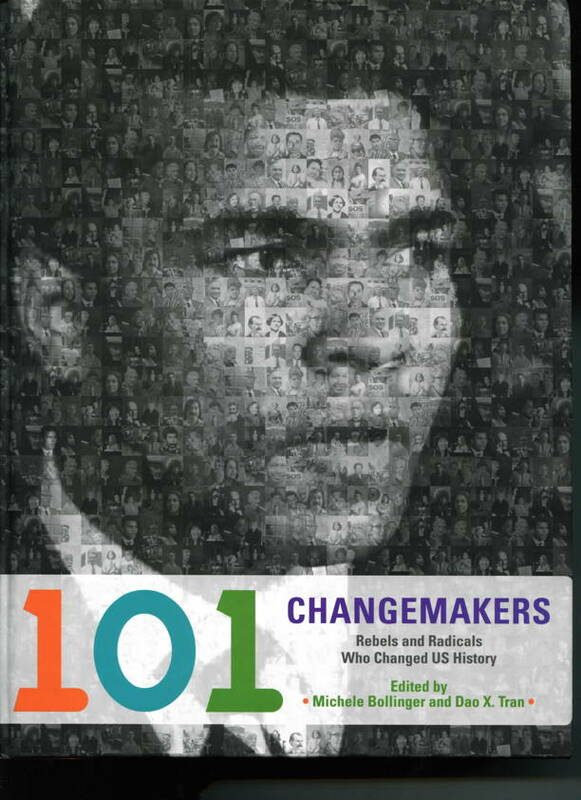 The case is cited in nearly every high school history or civics textbook in America and in 2012 Mary Beth was included in the book, 101 Changemakers: Rebels and Radicals Who Changed US History, along with such notable American figures as Rosa Parks, Mark Twain, Albert Einstein and Geronimo. A full bio is available here. What is the significance of the Tinker case today? The Supreme Court’s decision in Tinker v. Des Moines Indep. School Dist. is one of the first cases cited by judges in virtually every student free speech case handed down since 1969. Whether the case involves the right of students to hold up a banner across from a school, publish something in their student newspaper or, more recently, post something to their Facebook page or other social media site, for more than four decades Tinker has been the foundation upon which student free speech law in America has been built. Who has endorsed the Tinker Tour? The tour has been endorsed by many of the country’s leading organizations interested in civics education, social studies, journalism education and civil rights. Here is a list of organizations that have endorsed the tour so far. Who is funding the Tinker Tour? The original Tinker Tour got it’s start by raising $50,000 on the crowdsource site StartSomeGood. It was also assisted by the nonprofit Student Press Law Center. Now, the Tinker Tour is funded by speaking fees from the schools and organizations where it stops. 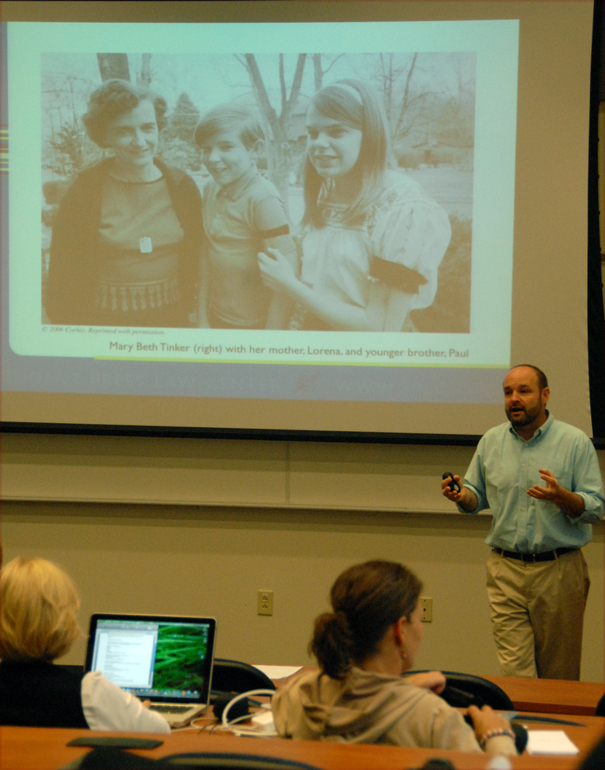 Mike is an expert on student speech law, particularly in the area of student journalism rights. He has spoken to tens of thousands of students across the country and is the primary author of several publications and online projects, including the SPLC’s book, Law of the Student Press. A full bio is available here. Permission is granted to use these images for editorial and noncommercial use only. For other uses, and other photos, please contact the Tinker Tour.